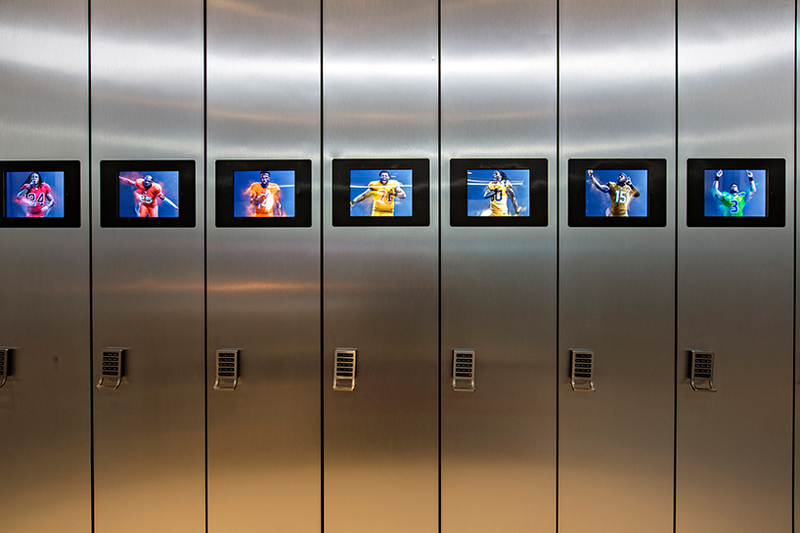 Visitors to the NorthPark Center in Dallas, Texas will now be greeted with a piece of KAWS artwork! 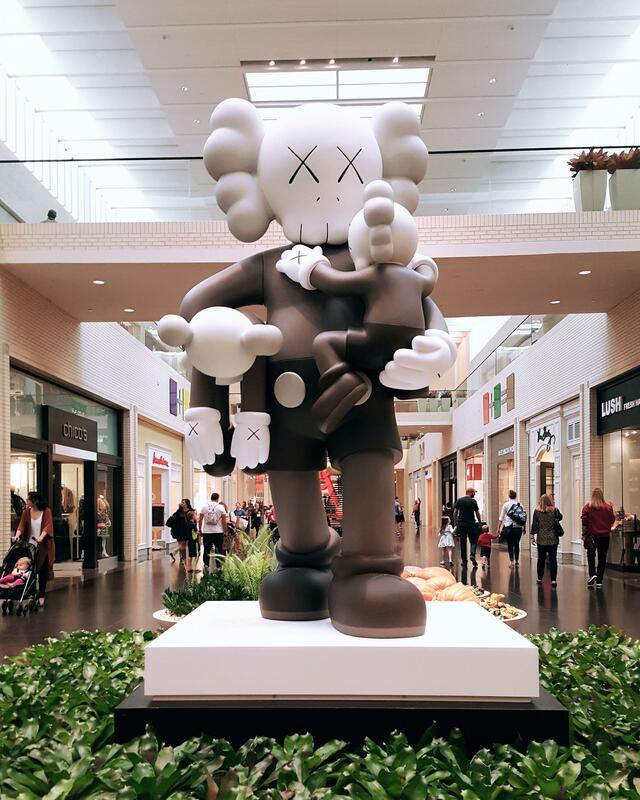 KAWS’ “Clean Slate” statue, which was originally displayed at exhibits in Harbour City, Hong Kong and LA NAVE in Ibiza, will remain as a permanent display in the NorthPark Center. The giant statue of KAWS’ iconic Companion character is the newest addition to the NorthPark’s collection of art, featuring works from Andy Warhol, Frank Stella, Joel Shapiro, Jim Dine, Jonathan Borofsky, James Rosenquist, Antony Gormley, Barry Flanagan and Beverly Pepper. 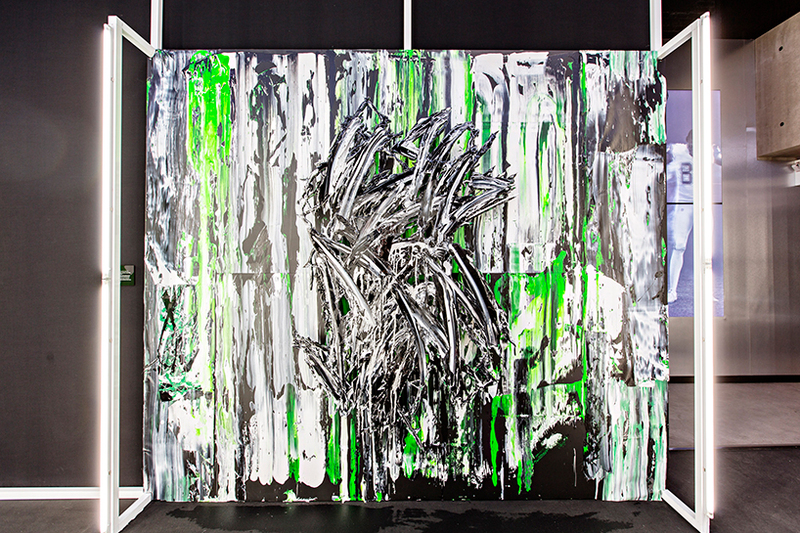 “Clean Slate” was officially unveiled on October 10th, and will be followed by a new KAWS exhibit titled “Where the End Starts”, which will be displayed at the Modern Art Museum of Fort worth nearby! 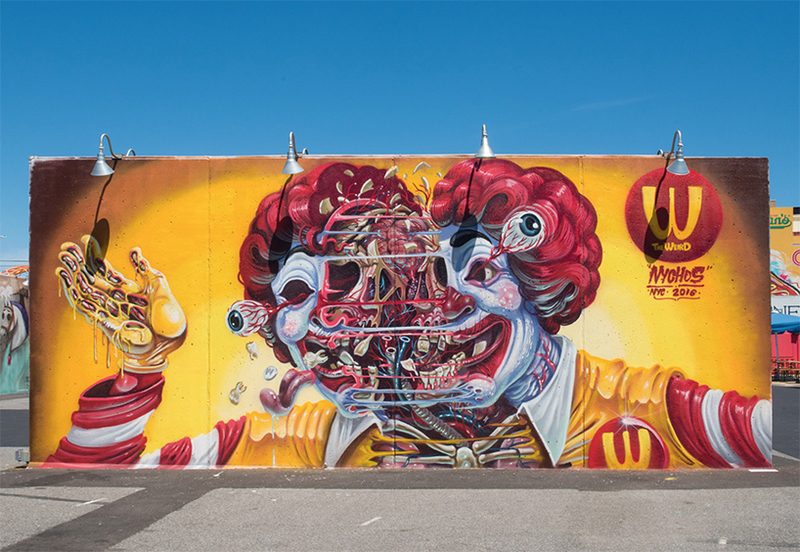 All of these new and upcoming KAWS pieces make Dallas the place to be for fans of KAWS and of pop art in general! 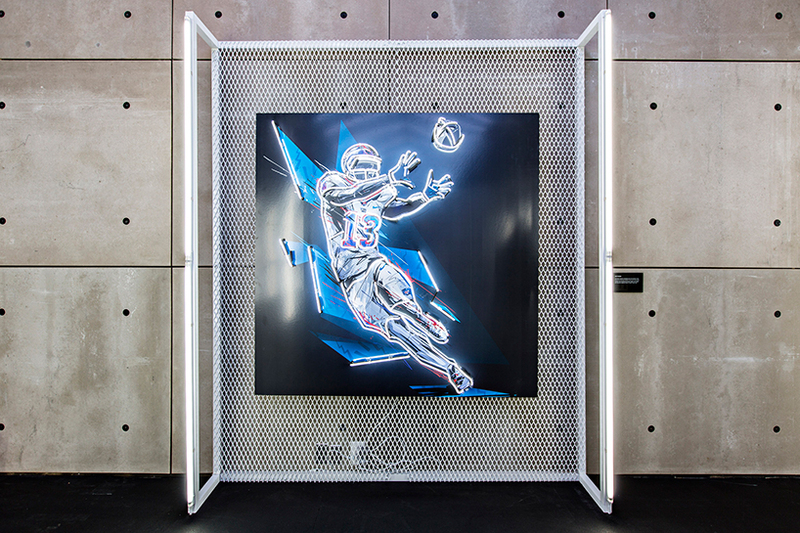 Originally starting in 2015 as a celebration of the 50-year anniversary of the world’s first color-screen broadcast of an NFL game, the NFL’s “Color Rush” art campaign has returned in 2016, thanks to a collaboration alongside renowned artists and NIKE! 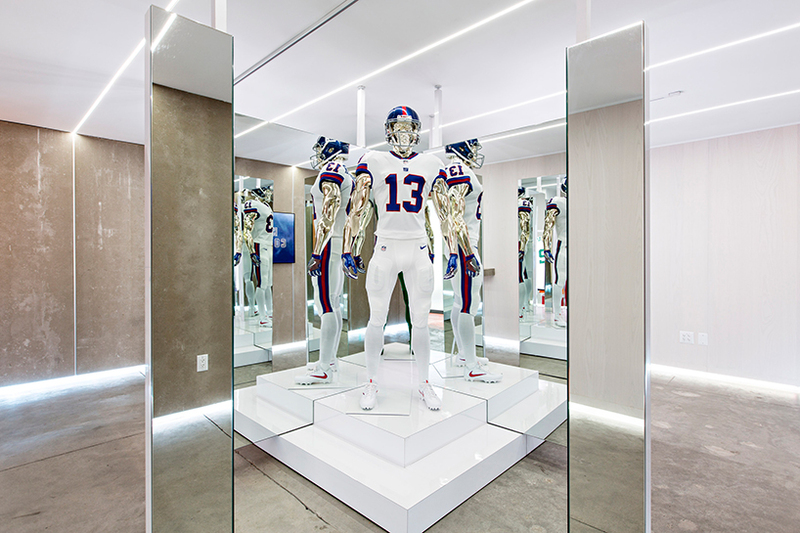 While last year’s Color Rush event designed unique outfits for 8 NFL teams, this year’s event will feature designed art for all 32 teams in the NFL league! 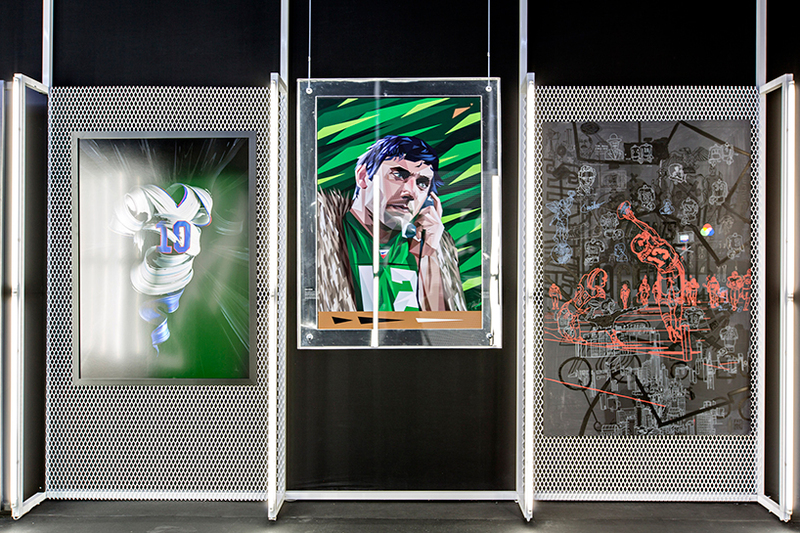 On top of these bright new uniforms, the NFL commissioned 11 artists with designing a unique exhibit to celebrate the event as well as the history of the NFL. 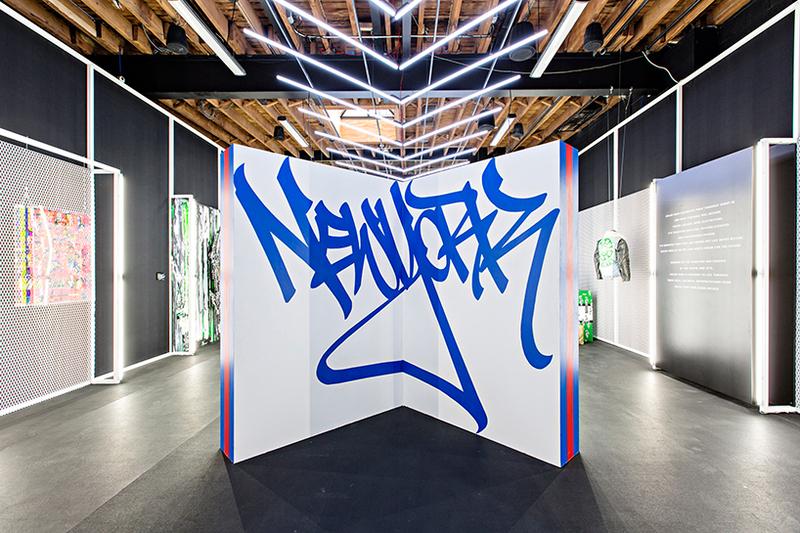 This art show, which is exhibit at the NIKE+ studio in Manhattan, New York, features work from artists like Faust, Christophe Roberts, Naturel, Meguru Yamaguchi, and more! 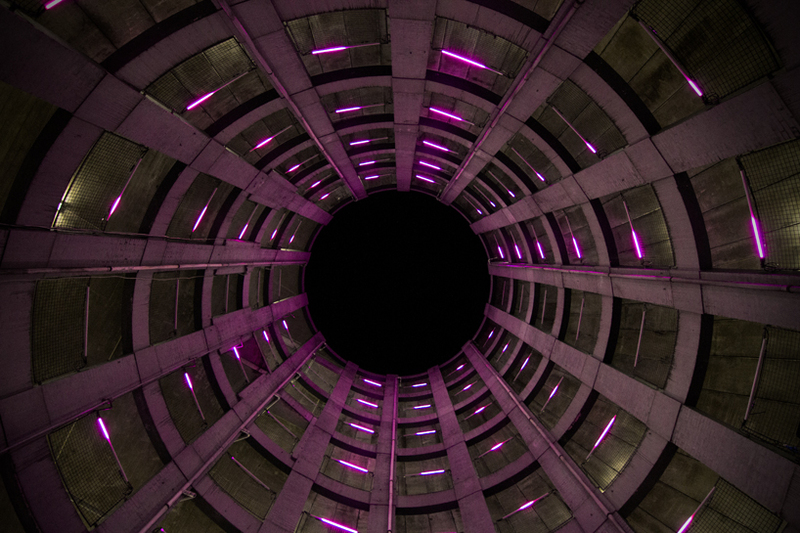 Check out some of the awesome work below, and make sure to check out the exhibit for yourself if you’re in the area! 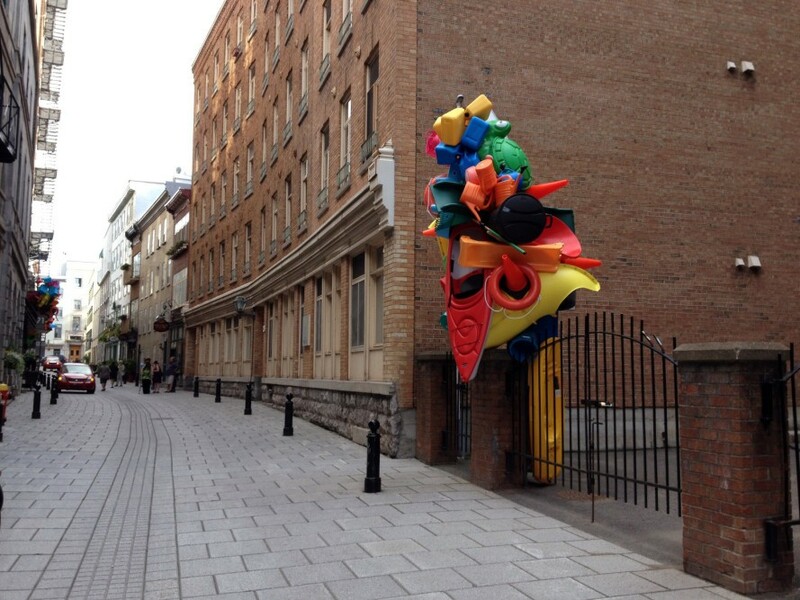 Argentinian artist José Luis Torres has dotted buildings all over Ottawa, Canada with his unique art installations! 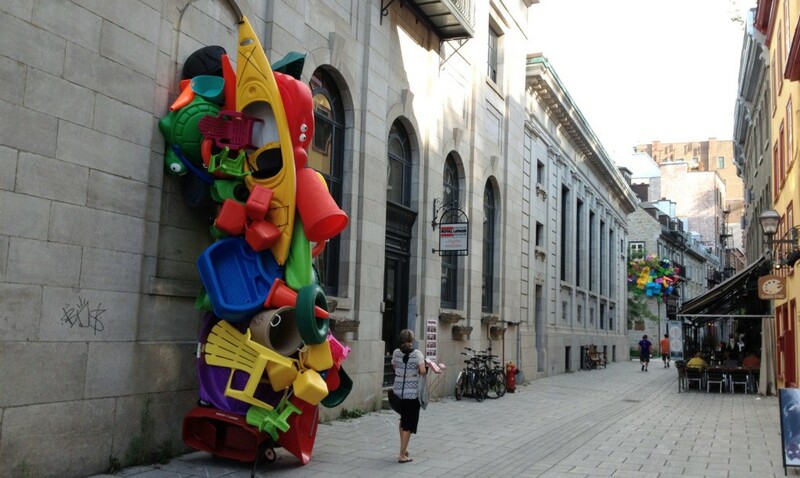 Titled “Tipping Point”, the art pieces consist of a variety of brightly-colored found objects, ranging from plastic children’s toys, bins, chairs, and even boats! 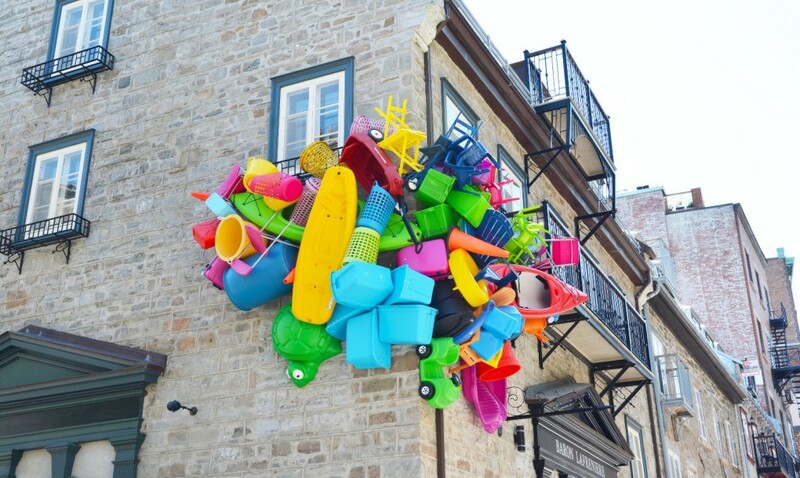 The pieces are designed to seem large and imposing, as these are part of Torres’ movement in bringing to light the clutter and hoarding nature of daily life, while at the same time displaying a bright and colorful summertime-themed collage. 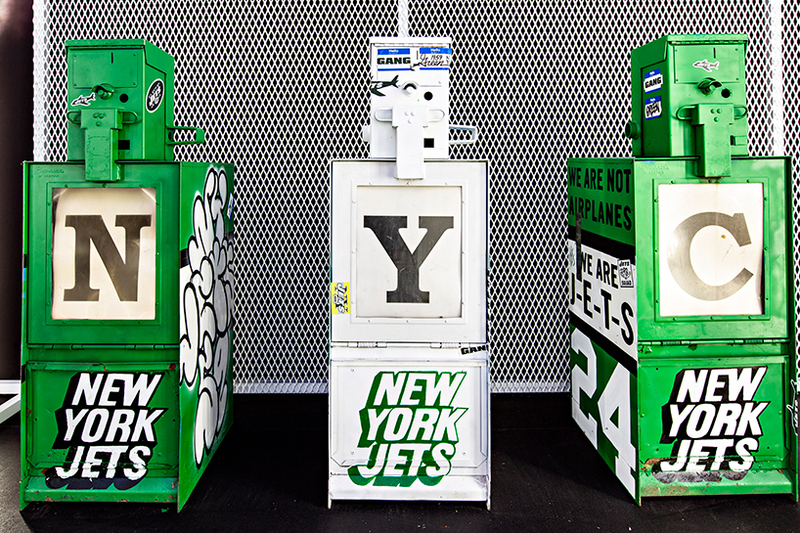 Check out some of the installations seen below! 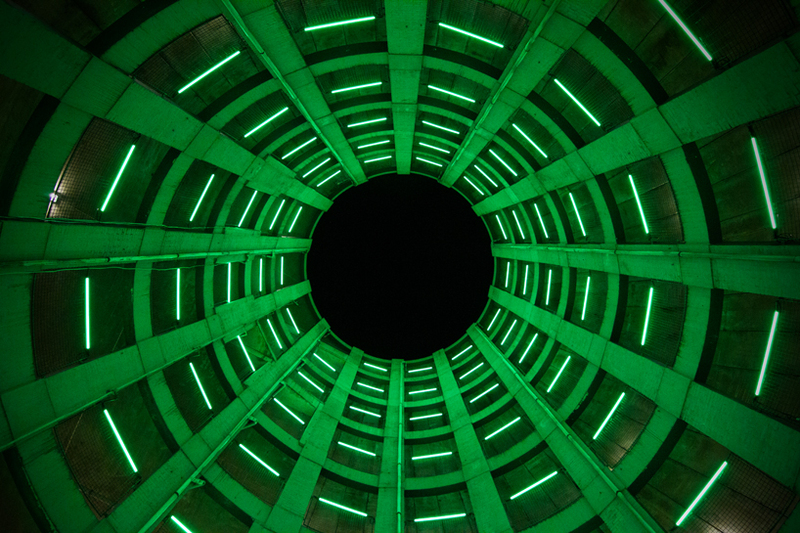 Collaborative artist group Micro Atelier de Arquitectura e Arte, or MAARQA for short, have come together to create a spinning interactive art installation in Porto, Portugal. 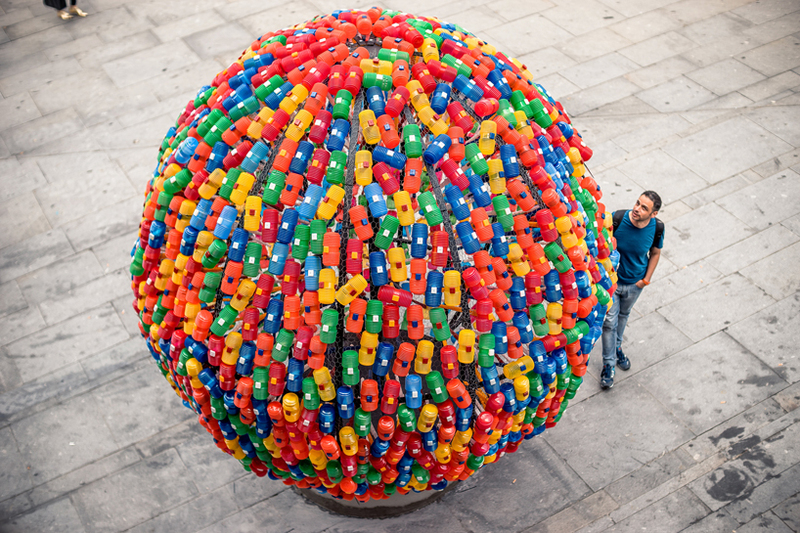 The piece, titled “Gira”, was created in commemoration of the the annual St. John Festival, and consists of a giant sphere made up of hundreds of children’s plastic hammers in a wide arrange of colors. 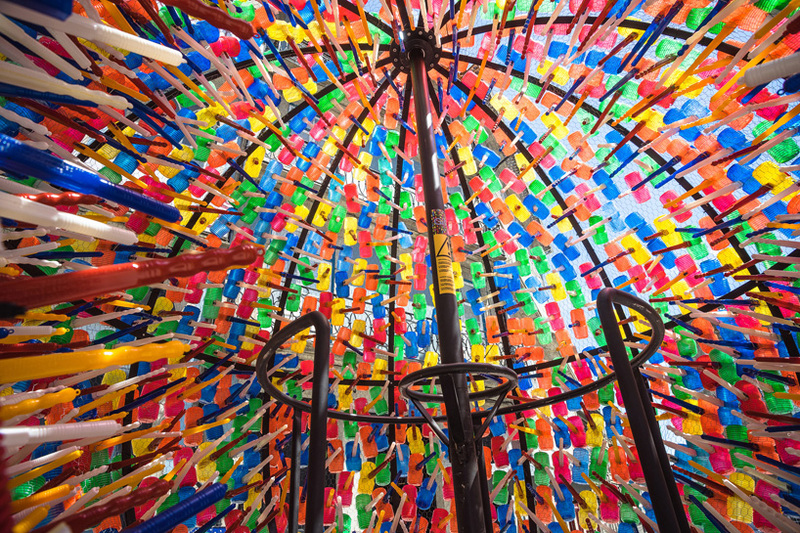 The installation, which can be entered by passerby and viewed from within, can be spun manually from within, transforming the art piece into a spinning globe of color. 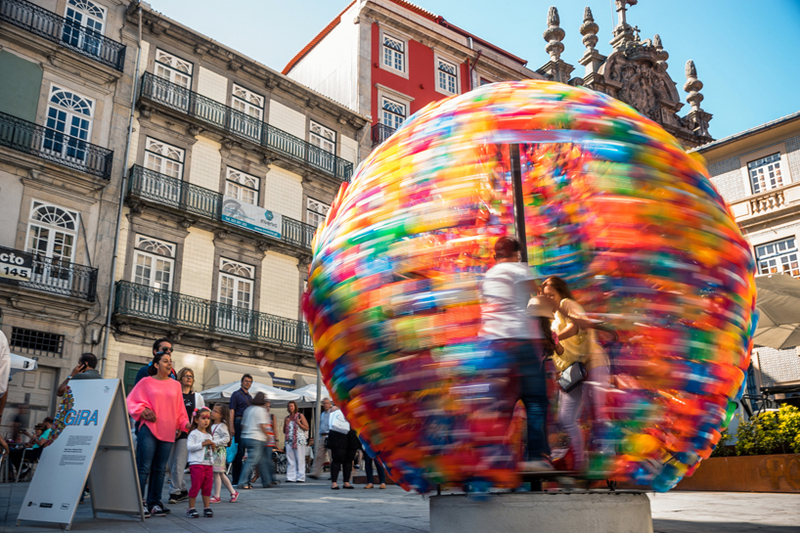 As MAARQA’s latest work in art installations, with previous works displayed in Canada, Amsterdam, Sweden, and other countries, Gira is a fun way for citizens and tourists alike to experience Portugal’s festive culture and atmosphere! 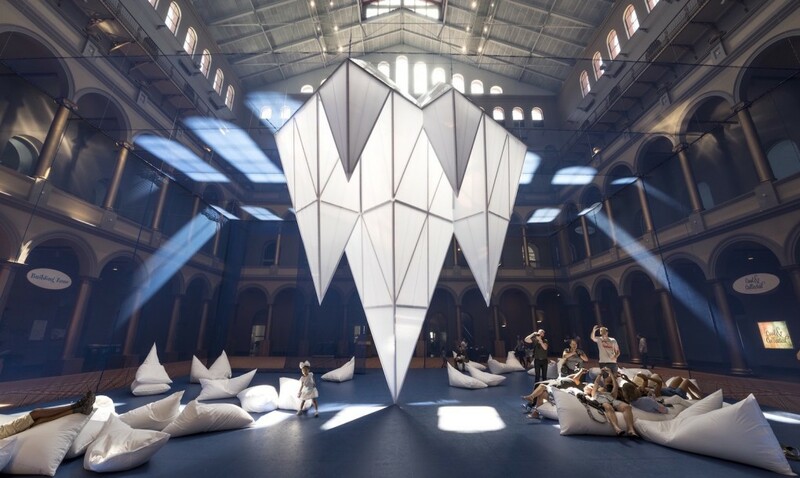 Visitors to the Washington DC National Building Museum can now take a load off at the new ICEBERGS installation, which opened earlier this July. 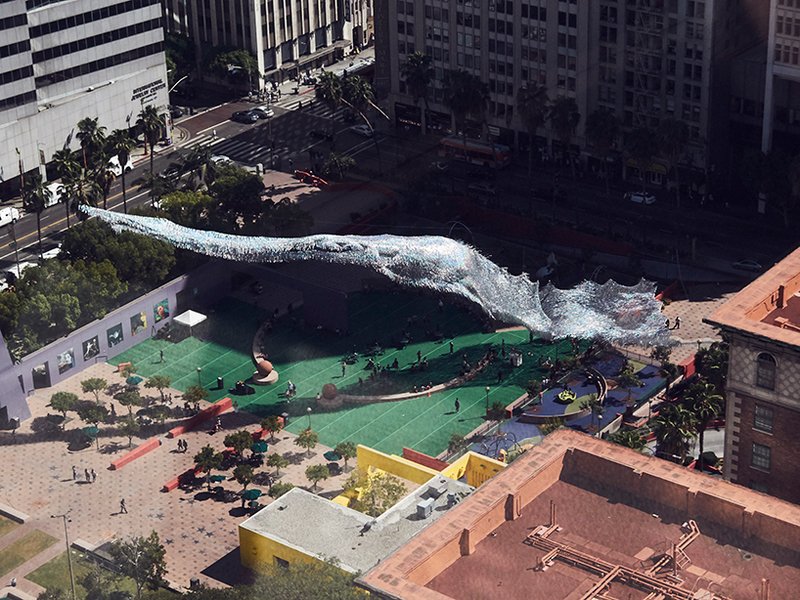 Designed by James Corner Field Operations as a part of the museum’s Summer Block Party event, the entire exhibit was created with pre-made elements and recyclable materials, transforming a 12,540-square-foot plaza into a simulated underwater playground. 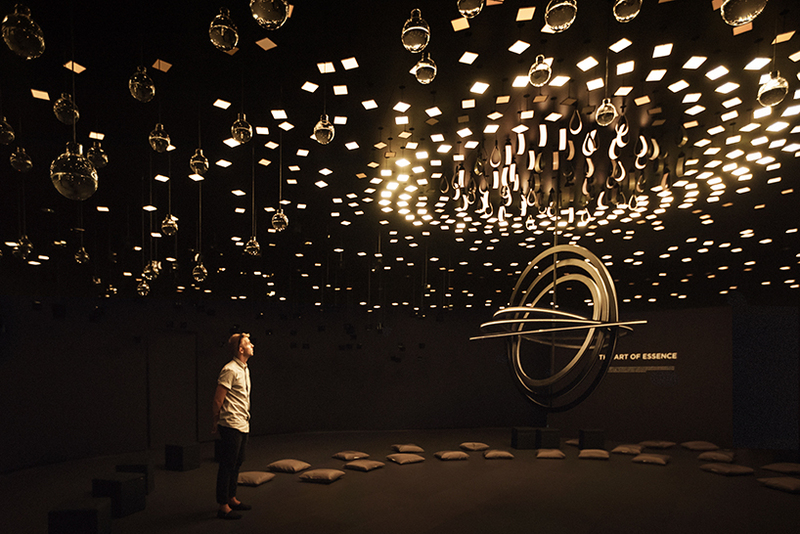 The exhibit features large triangular formations made to look like the underside of floating icebergs, and features bean bag cushions, cavernous rooms, and even interactive slides for visitors to relax and have fun at. 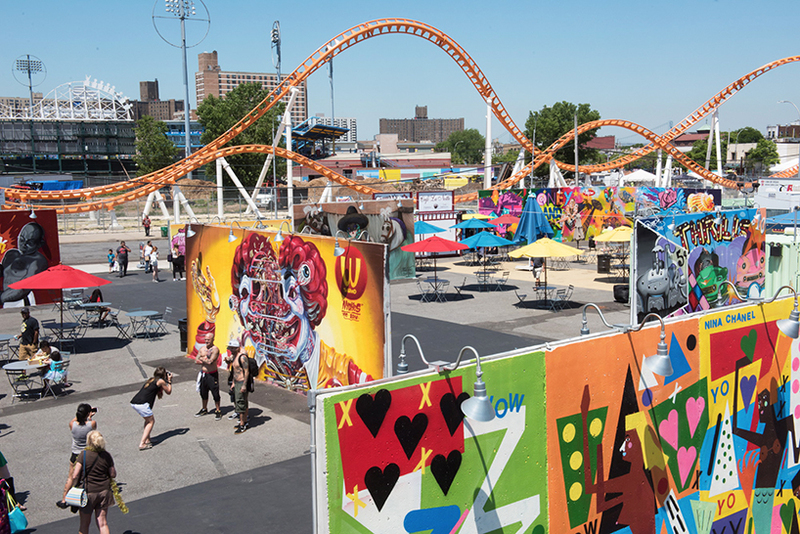 The exhibit will remain open until September 5th, giving visitors the rest of the summer to visit the new exhibit. Check out the video below to see ICEBERGS in construction! 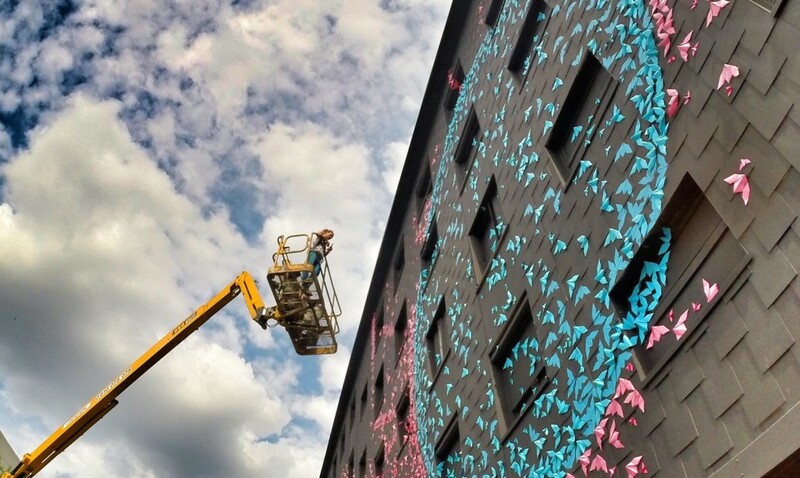 Street artist Mademoiselle Maurice has called a swarm of origami birds to her latest large-scale mural! 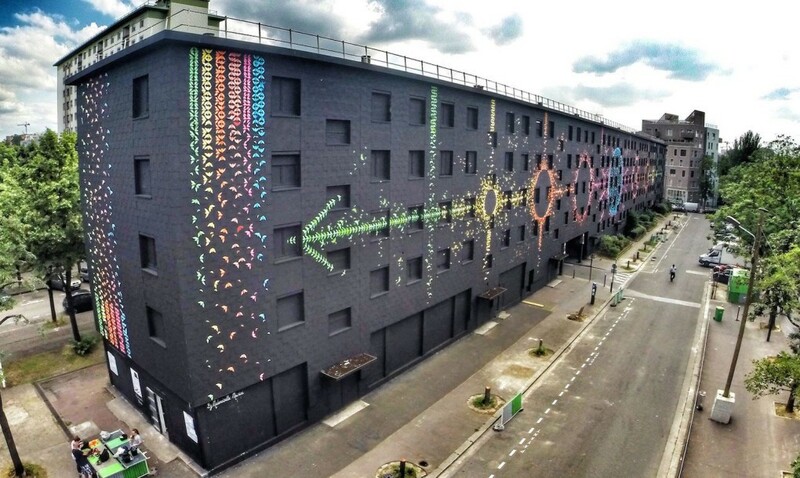 The mural, titled “Lunar Cycles”, is the largest urban mural ever created in Paris, and spans the width of a large building scheduled for demolition. 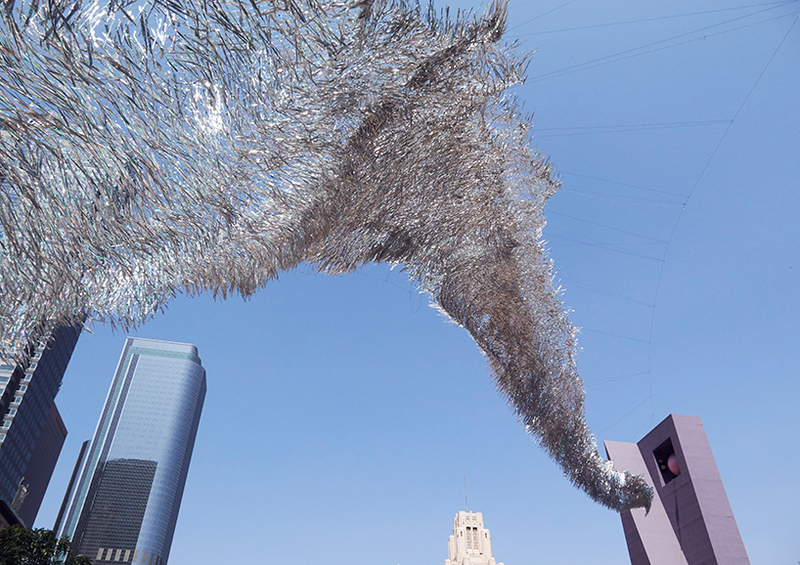 The mural was first created by painting over the entire 460-foot-long side of the building in black paint, which was then decorated with 15,000 colorful origami birds, spread and layered to create a beautiful array of designs and colors. 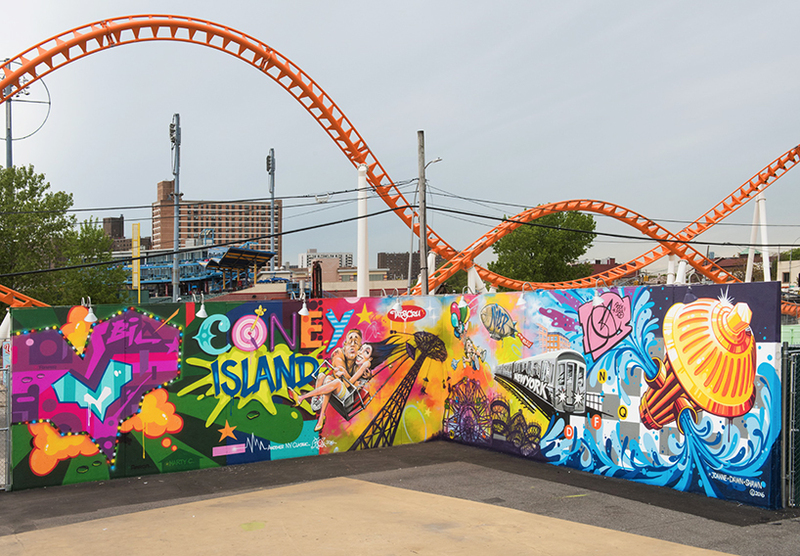 The mural was created in collaboration with Mathgoth Gallery, and the final design was decided upon with input from the local community. 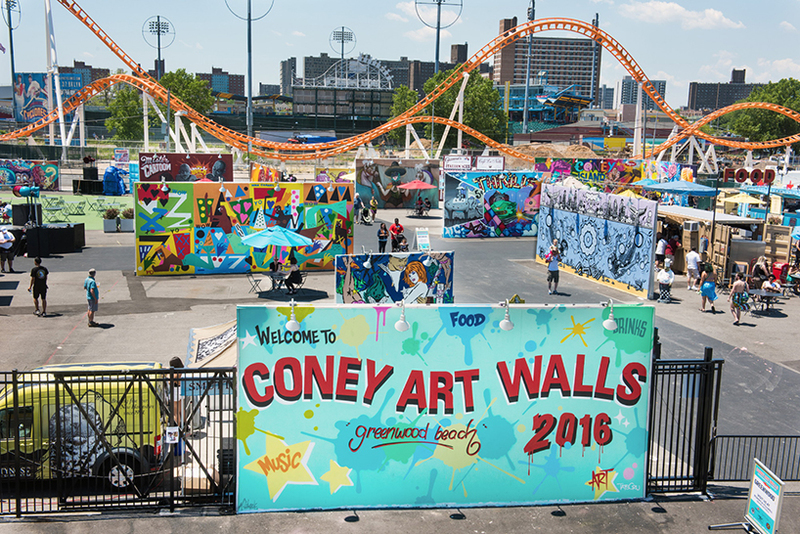 The mural will remain open to the public until August 2016, so check out this cool installation while it lasts!